What should you pack before your big wild turkey hunting expedition? If you are a novice to this exciting activity, here are some guidelines on how you should prepare for the big hunt. As the popularity of turkey hunting continues to expand, equipment companies have taken note and provided hunters with an ever-growing stable of hunting accessories and equipment. Turkey hunting used to be quite a simple activity, especially when it was left only to bow hunters who took up the arrow. In recent years, the market has produced hundreds of wild turkey hunting accessories. In days past, the wild turkey hunter only needed to carry a few shells in his hunting vest, pick up a double-barreled shotgun, and that would be it. While hunters of yore did not have much else but their shotgun and perhaps a slate call box, today’s modern turkey hunters have special camouflaged clothing, extreme full-choked turkey guns and hunting vests with dozens of special pockets. But do you really need all the hunting doodads to be a successful wild game hunter? 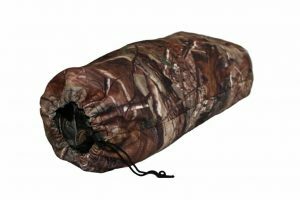 The first real choice you have to make when it comes to picking and choosing your wild game hunting equipment is to decide what kind of equipment you will choose for carrying your hunting tools and accessories. In this department, there are three basic choices that the modern turkey hunter has to choose from. These include a turkey hunting vest, a backpack, or a fanny pack. Which one is right for you? It depends on how much you are going to carry, and how far you will be going. Turkey vests come in a variety of styles. They can come designed as full vests, or in jacket style. They come-in expensive shoulder strap models, or they come in simpler styles. Hunting vests are often favored because they come equipped with many different pockets. This lets you organize your tools and accessories with greater ease. Many hunters favor backpacks because they are easy to carry on long-distance hunts, and they allow you to carry more or as much as most vests. They can also be removed quite easily, and you can use them as a backrest. Fanny packs are favored because they are generally the least expensive option. They allow you to carry some gear, but they don’t weigh you down as much as a backpack or a vest. They also provide quick access to your equipment and tools. What Should You Pack for the Turkey Hunt? Now that you have decided between a backpack, fanny pack or full vest, more choices arise. What should you pack? This will depend on a variety of factors. One of the biggest things that a turkey hunter is never without is their turkey calls. Turkey calls can be hard to resist, but how many do you really need to carry with you? If you have a special turkey hunting vest, you can probably store dozens of turkey calls with you. However, if you are not equipped with the right kind of carrying equipment, try to restrict yourself to the essential calls. Chances are, you will not need to use more than a couple of calls anyway. Your bare-bones turkey-hunting package should consist of the basic requirements. Basic turkey hunting equipment consists of a shotgun, a turkey tag and license, shells, camo coveralls and a mouth call. A more advanced, but still basic turkey-hunting equipment list might consist of a shotgun with at least 5 shotgun shells, a full camo outfit, including a cap, turkey tags, a pencil or pen to sign your turkey tag, several turkey calls, a crow call, gloves, a head net, bugs pray, chalk, water, a compass, a knife and toilet paper.